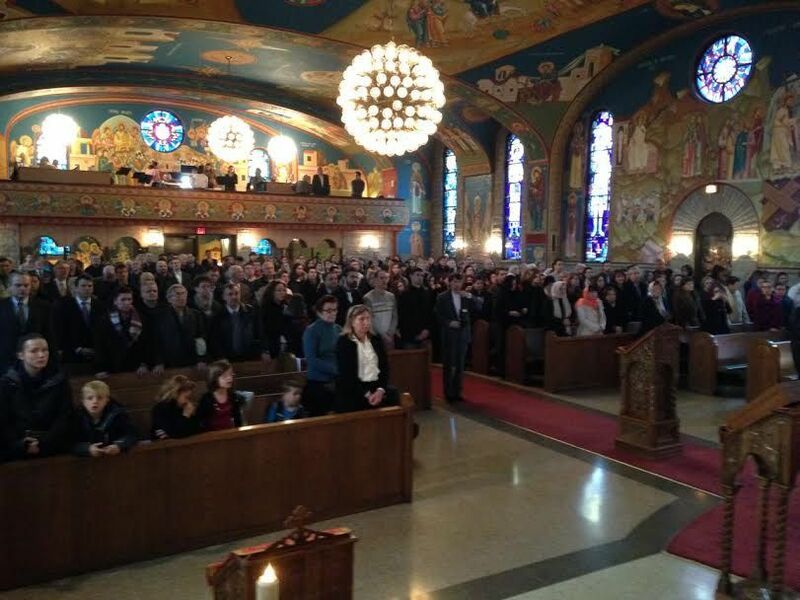 Chicago, IL - His Eminence Amphilohije, Archbishop of Cetinje, Metropolitan of Montenegro and the Coastlands and administrator of the Diocese of Buenos Aires and South America, served the Holy Hierarchical Divine Liturgy at Holy Resurrection Serbian Orthodox Cathedral in Chicago on Sunday, December 8, 2013, together with Bishop Longin of New Gracanica and Midwestern America and Bishop Maxim of Western America. Many faithful and children took part in the liturgical gathering. 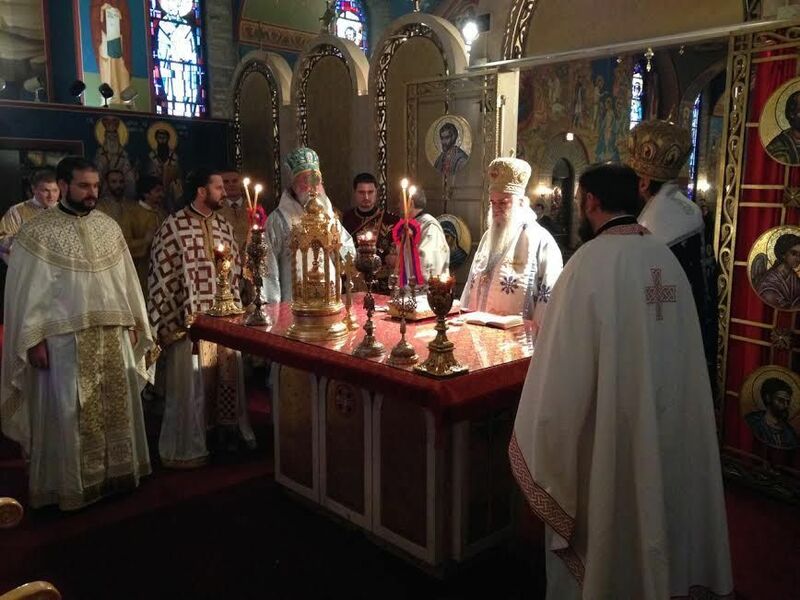 Concelebrating with the hierarchs were clergy from the cathedral and the New Gracanica and Midwestern Diocese, while the Serbian singing society “Branko Radicevic” sang the responses. 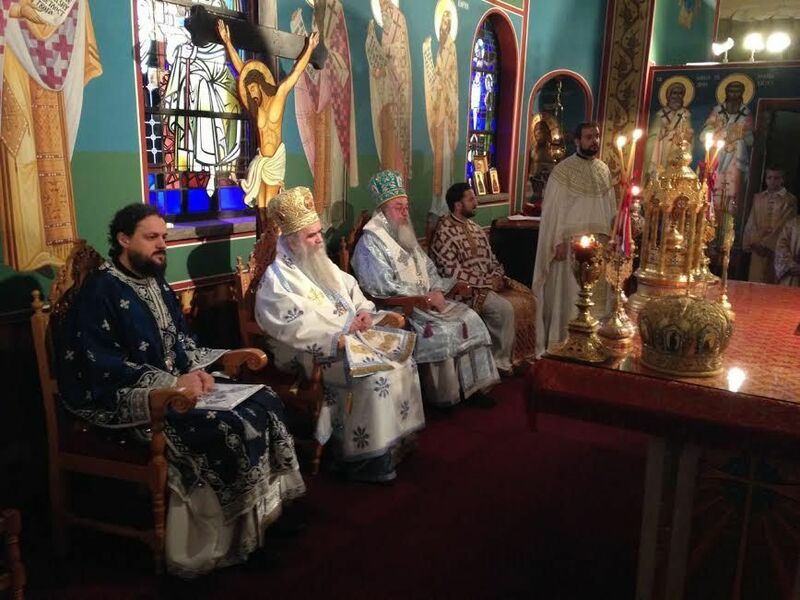 At the banquet held at the cathedral hall Metropolitan Amphilohije delivered a lecture on the topic of the 900th anniversary since the birth of St. Simeon the Myrrhflowing and the 200th anniversary since the birth of Metropolitan Petar II Petrovic Njegos. Donations collected at the banquet will be sent to the Diocese of Buenos Aires and South America. Metropolitan Amphilohije presented a certificate of appreciation to Olga Ivankovic from Chicago, born Gvozdenovic from Montenegro, a well known physician and benefactor of many church and monasteries in Montenegro and elsewhere. On this occasion, she received the certificate for her generous monetary aide for last year's opening of the soup kitchen “Mati Jelisaveta” in Cetinje. 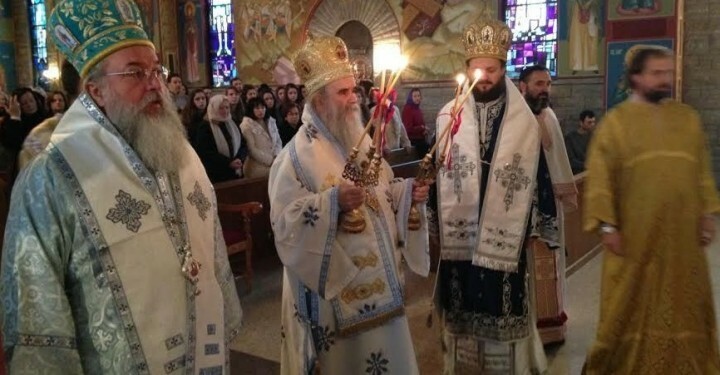 The day before, on Saturday, December 7th, after the Vesper service, Bishop Maxim presented a lecture on the theme “Holiness in History and Today”, after which those present were given the opportunity to speak with him and ask questions.